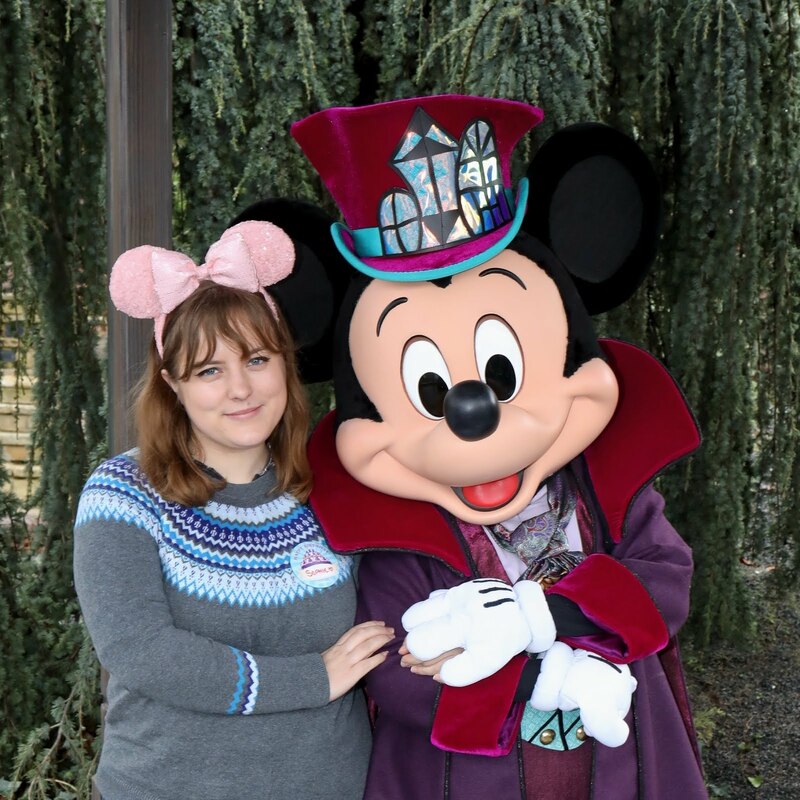 On Saturday I got back from five days at Disneyland Paris, and I couldn’t wait to share our trip with you. I’m going to break the posts up into each day, as so much happened and it would be too much to fit into one, so keep an eye out over the next week for the complete series. I went on the trip with my friend Sophie, and we booked it back in the summer, after spontaneously deciding it would be a great idea. We booked with the Walt Disney Travel Company, who were a delight to go through. We ended up getting 4 nights for the price of 2, staying in the Santa Fe hotel, so 5 days in the park & 4 nights in the hotel with breakfast & a character breakfast came to around £230 each, which was a complete bargain. The travel company also sent us both some Minnie ears after finding out I was a blogger, which was super lovely of them! We decided to go for the cheapest option for travel, and so went via coach overnight. Looking back now, we probably would have done this differently but it meant we arrived at the hotel at 8am on Monday giving us a full day, and we left at around 7pm on Friday, so had another full day. It was £45 return, but the journey is quite broken up as you have to get off the coach for border control/when you’re on the ferry so it was pretty difficult to sleep! We got to Disney at around 8am, and headed straight to the hotel. We couldn’t access our room til 3 so got changed/freshened up in the toilets and then headed over to the park. We were running on very little sleep, but we pushed through. The first thing we did was purchase the Photopass+, which I would highly recommend if you’re there for 3 or more days AND want to meet characters. Almost all of the characters we met had photopass photographers there, and we were able to get all of our pictures from character meets and the rides on our photopass, ready to download when we got home. The photopass+ was €50, so at €25 each it was a great deal as we ended up coming home with 70 photos. 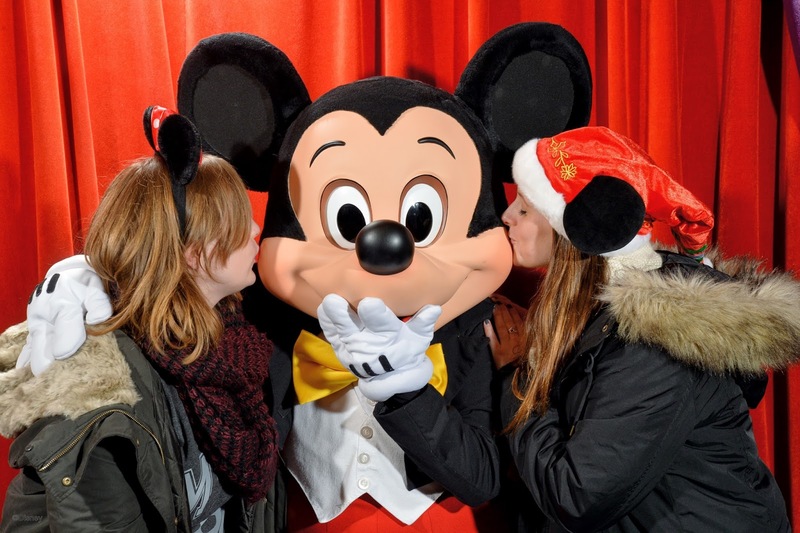 You can print/purchase the photos they take without the photopass+ but I believe it was around €10 per print. Once we got our photopass+ we went on Peter Pan as our first ride. We also went on Pirates of the Carribean, the Pinochio ride and the Aladdin walk through. 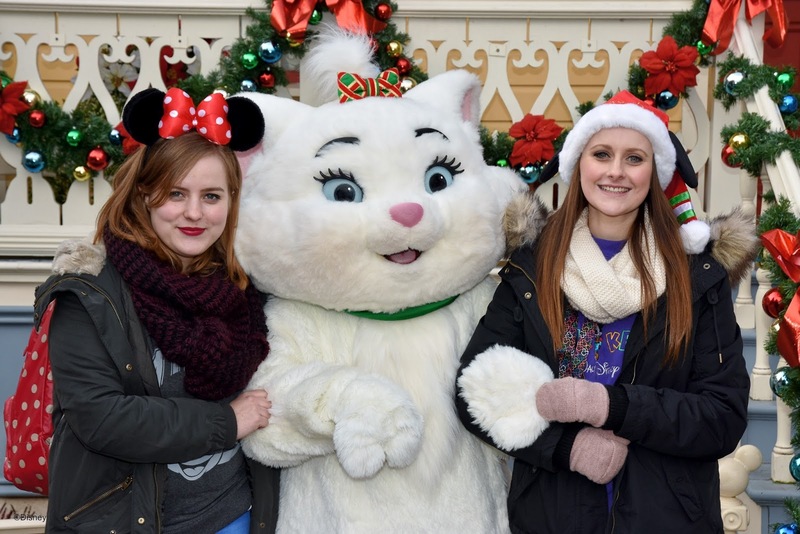 We also met Marie, Winnie The Pooh and Mickey Mouse, all of which had around a 45 minute queue time. We managed to also squeeze in Frozen: A Royal Welcome, the christmas parade, the magic-on parade and Disney Dreams, before heading back to our hotel for around 9pm and completely crashing out. In terms of purchases during the day, aside from the photopass+ we didn't do much shopping, but Sophie bought a Mickey christmas hat. For lunch, we headed to Casey’s Corner and I had a cheese hotdog, Sophie had chicken nuggets and we shared some fries. We then had dinner at the Plaza Gardens Restaurant, as we hadn’t really had breakfast so decided a buffet would fill us up. It was a busy but great first day, and we managed to get so much of the park done. I’ll be back with another post about day 2 tomorrow, which was the day we spent over in the Studio Park.